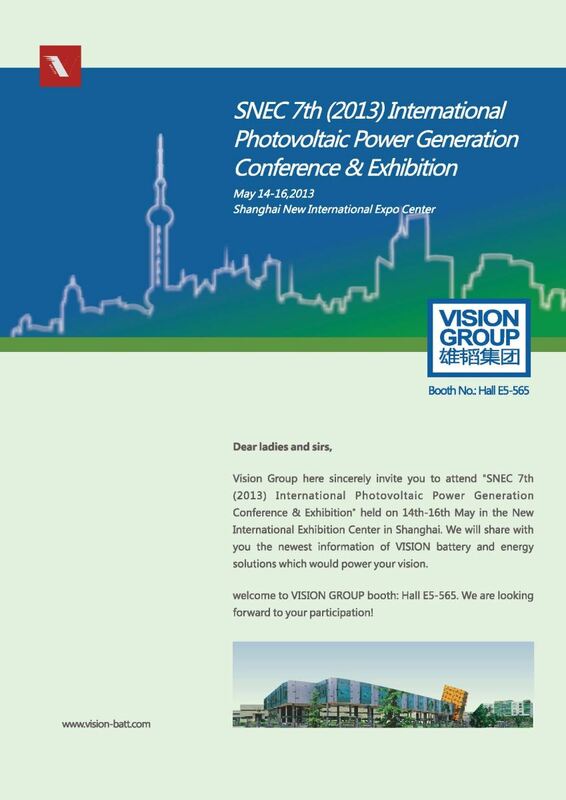 Vision Group will attend "SNEC 7th (2013) International Photovoltaic Power Generation Conference & Exhibition" held on 14th-16th May in the New International Exhibition Center in Shanghai. We will share with you the newest information of VISION battery and energy solutions which would power your vision. Welcome to our booth, we are looking forward to your participation.